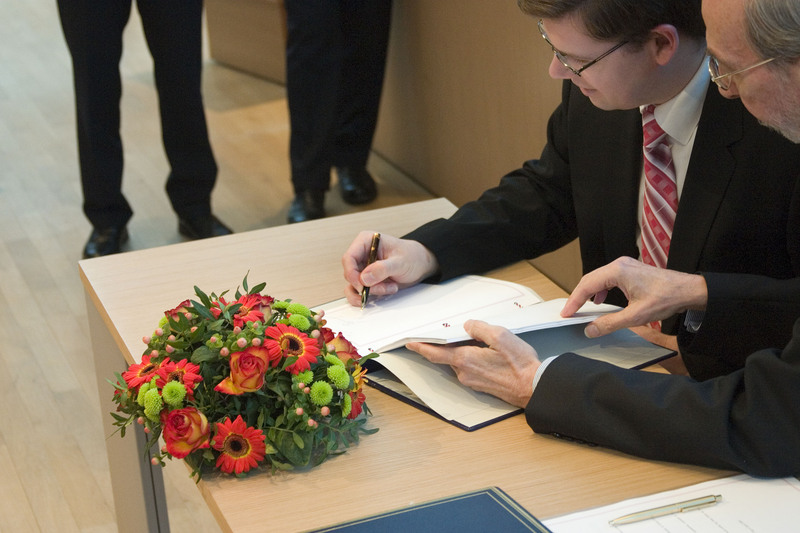 During the Council on General Affairs, the Hague Convention of 30 June 2005 on Choice of Court Agreements was signed by the European Community. As the Czech Republic is presiding the European Union, the Czech Minister of Justice, H.E. Mr Jirí Pospíšil, signed the Convention on behalf of the European Community. Since Mexico had already acceded in 2007, only one more ratification or accession is needed for the entry into force of the Convention, which is open to all States. On the same occasion, both the Czech Republic and the Republic of Cyprus signed the Hague Protection of Adults Convention.